Julius Avery’s bloody and action-packed zombie horror movie Overlord sees American soldiers in World War II discover that the Nazis are experimenting on local villagers in an effort to perfect a serum and build an army of immortal super-soldiers. 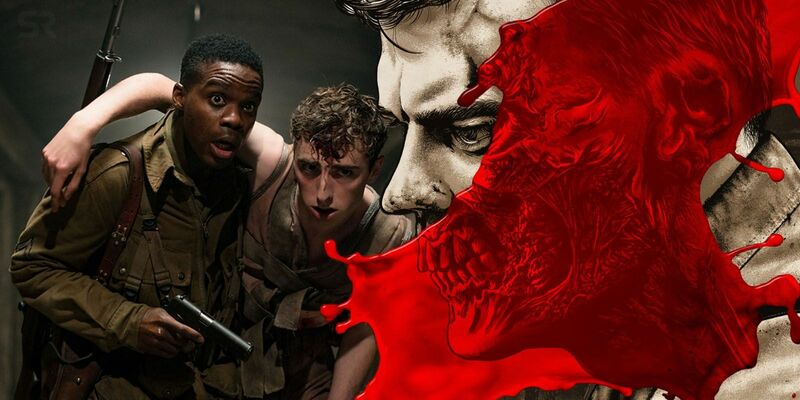 When Private Boyce (Jovan Adepo) discovers a laboratory filled with reanimated corpses, the movie kicks into high gear and things build to a bloody, explosive ending. Overlord opens with Boyce and his fellow soldiers on a war plane, being briefed on what seems like a straightforward mission. They need to reach a Nazi radio tower that has been built on a church in a small French village, and destroy the tower so that the US Air Force can provide support while ground troops move in on the beaches of Normandy on D-Day. There are a lot of lives at stake, and the pressure only increases when less than half a dozen soldiers in Boyce’s unit manage to make it to the village alive. Related: Just How Scary (& Violent) Is Overlord? 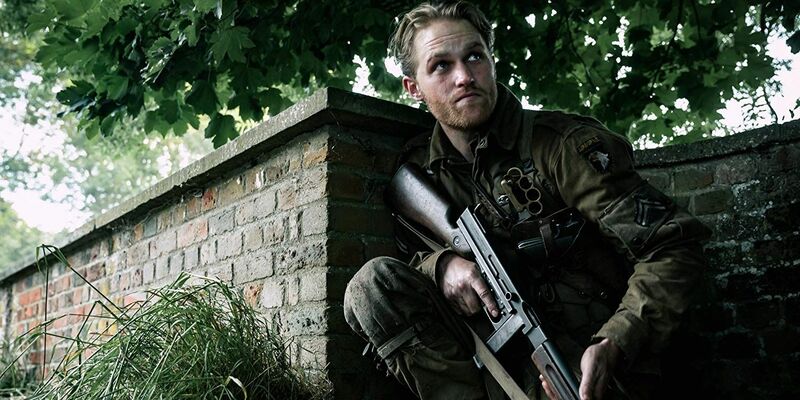 Leading the American soldiers is explosives expert Corporal Ford (Wyatt Russell), while the Nazi compound is in the hands of the malevolent Captain Wafner (Pilou Asbæk). Boyce and the other soldiers find refuge with a local scavenger, Chloe (Mathilde Ollivier), but even she can’t keep them safe from what’s lurking underneath the church. When Boyce discovers a laboratory filled with reanimated corpses, the movie kicks into high gear and things build to a bloody, explosive final act. Page 2: What Happens To Overlord’s Survivors After the Ending? After being kidnapped and tortured by Ford, Wafner manages to escape Chloe’s house, kidnapping her little brother, Paul (Gianny Taufer), on his way out. As the car pulls away from the house, however, Ford manages to shoot Wafner in the face, blowing a good-sized chunk of it away. Wafner returns to the laboratory and – despite the doctor’s protests that the serum is not yet refined and has never been tried on a living person – injects himself with the zombie juice in order to carry on fighting despite his injury. The serum succeeds in keeping Wafner upright and imbues him with super-strength, but also seems to make him even more crazed and murderous than before. Meanwhile, after an attempt to revive war photographer Chase (Ian De Caestecker) using the serum goes awry, the American soldiers regroup and put together a plan for assaulting the compound. Boyce insists that they try to rescue Paul along the way and Ford reluctantly agrees. Boyce, Ford and Chloe sneak into the compound via the sewer that Boyce discovered earlier in the movie, while Tibbet (John Magaro) and Rosenfeld (Dominic Applewhite) attack the compound’s gates with a rifle and a machine gun, in order to draw the German soldiers out and away from the laboratory and radio tower. Once inside, Ford and Boyce prepare to set the explosives while Chloe goes to search for Paul. A German soldier tries to trick her into going into one of the cells, but instead ends up releasing one of the experiments – a super-fast, super-strong, super-hard-to-kill zombie. Chloe manages to get Paul to the sewer grate, and then fights the zombie while he escapes, eventually killing it with a flamethrower. Paul flees to the village and accidentally runs right into the middle of a firefight between Tibbet, Rosenfeld and the German soldiers. Tibbet, despite acting irritated by the kid throughout the movie, runs into danger to grab Paul and bring him to safety, getting (non-fatally) shot in the process. Inside the compound, Wafner finds Ford as he’s rigging the radio tower to explode, and destroys the charger that would have set off the explosives. He drags Ford to the laboratory and impales him on a hook. Boyce manages to draw Wafner away, and as he does so Ford manages to lift himself off the hook and then injects himself with the zombie serum so that he can keep fighting. He momentarily knocks Wafner out of the fight, and then ushers Boyce out of the laboratory, locking the gate behind him and telling Boyce to go and set the charges on the radio tower explosives. As Wafner recovers and experiments move in on Ford, he uses Wafner’s lighter to light the fuse on the laboratory’s explosives, blowing the whole place up, killing himself and Wafner, and burying the laboratory. Boyce makes it to the radio tower and sets the charge on the explosives, fleeing the compound as it explodes and collapses behind him in a frenetic one-shot escape sequence. After reuniting with Tibbet and Rosenfeld, Boyce is questioned by an officer about rumors of a laboratory under the church. He lies and says that he didn’t find anything. He, Tibbet and Rosenfeld are then told that they’re being folded into C company, and the three prepare to re-enter the fray – hopefully with fewer zombies this time around. 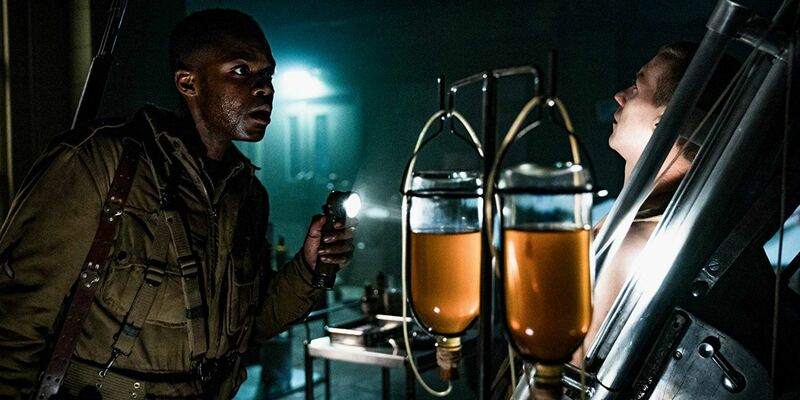 Overlord doesn’t go into too much detail with regards to how Dr. Schmidt (Erich Redman) developed the serum, but we do know that the mysterious liquid was discovered in a pit underneath the church (the same pit that Wafner falls into in the final battle). After discovering it, the Nazis were determined to exploit its potential because – as Wafner puts it – a thousand-year Reich requires soldiers that can live for a thousand years. The Nazis used the local villagers for their experiments with the serum, which can be used to create different types of zombies: straightforward reanimated corpses, super-strong and deformed creatures who are grown in womb-like sacks, and “living” zombies like Wafner and Ford. It’s also implied that Schmidt may have been using living bodies as a means of processing the liquid into a serum – which is what’s happening to Rosenfeld when Boyce finds him in the laboratory. The experiments are clearly incomplete. Chase, upon being injected with the serum, comes back to life but quickly begins to degrade into a deformed, rage-filled monster. Wafner becomes even more insane and monstrous after injecting himself with it, and even Ford can be seen beginning to transform right before he blows himself and the laboratory up. A serum with the potential to create super-strong soldiers who can survive a bullet to the head clearly has major applications, however – which is why Boyce ultimately decides that the American military shouldn’t get its hands on it either. For such a gory movie, Overlord has a surprising number of characters still standing by the time the end credits roll. 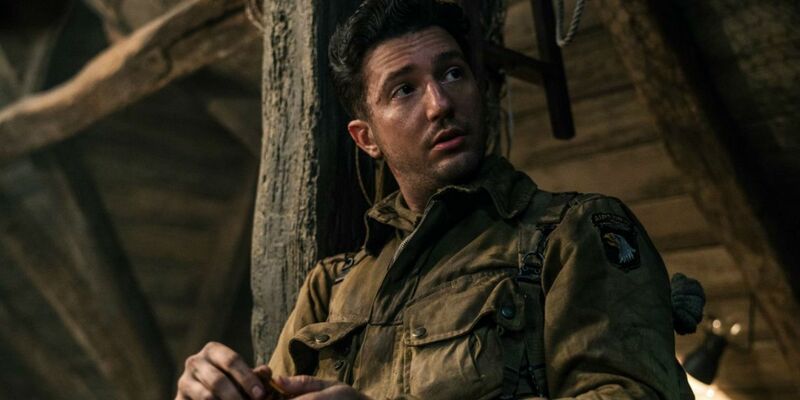 Boyce, Tibbet, Rosenfeld, Chloe and Paul all make it out alive, the American push forward into France is a success thanks to the radio tower being taken down, the Nazi compound is destroyed, and the village itself is liberated. Boyce, Tibbet and Rosenfeld are given a new assignment with C company (apparently Tibbet’s injury wasn’t bad enough to earn him a ticket home), which means that they’ll soon be off to fight on another front line. Meanwhile, Chloe and Paul will be left to mourn their aunt and try to rebuild their lives. If Overlord ends up being a hit at the box office, there’s clearly potential for a second movie. A sequel could follow the surviving soldiers and perhaps see them encountering another wave of zombies – for example, if the US army does a little digging under the church and discovers the laboratory and the mystery liquid. Another possibility is a prequel movie revealing exactly how the pit of liquid came to be under the church, and earlier instances of it being used to raise the dead. Or, returning to the idea of a sequel, a follow-up could jump forward in time to present day and see the serum being rediscovered. Who knows – perhaps Overlord could still be retconned into the Cloverfield universe. The most significant takeaway from Overlord’s ending is both Ford and Boyce deciding that neither side should have access to the super-soldier serum – a bold decision to make, given that America is caught up in a world war that they aren’t even sure they can win. With Hitler’s army rampaging across Europe, Boyce could have easily talked himself into stealing another syringe full of the liquid, or telling his superiors exactly what he found underneath the church so that they could uncover it. Overlord doesn’t exactly have a “both sides are as bad as each other” message, which would be hard to pull off in a movie about American soldiers trying to liberate France from the Nazis. However, Ford’s actions do serve as a reminder that Boyce isn’t completely on the side of the angels. Ford is willing to brutally beat Wafner to try and get information out of him, and he’s singularly focused on completing the mission regardless of the casualties along the way. Boyce himself demonstrates the dangers of recklessly trying to use the serum to his own advantage when he spontaneously injects Chase with it, and is then forced to bash his friend’s head in after already having watched him die once. So, while the rumors of Overlord being a secret Cloverfield prequel turned out to be false, it does have similar themes to The Cloverfield Paradox – namely, that humans interfering with nature can have disastrous consequences, regardless of how good the intentions might be.